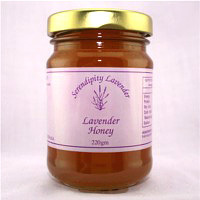 A top quality Australian honey which has been flavoured with lavender essential oil. Great on bread,toast or in recipes which use honey. 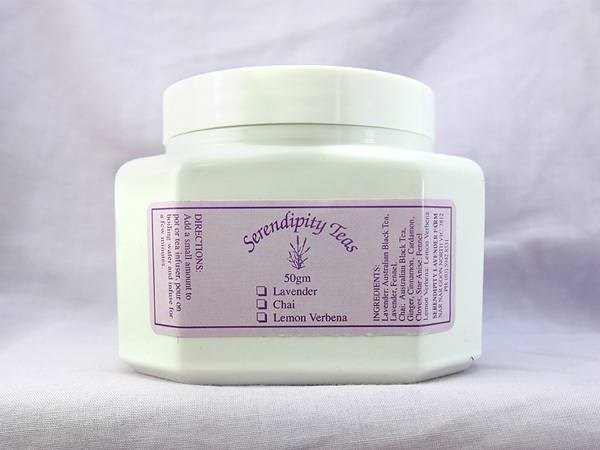 Honey and Lavender Essential Oil. 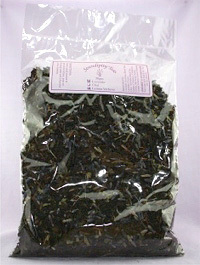 Australian Black Tea, Lavender, Lemon Verbena. 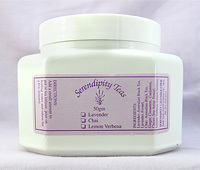 A good digestive relaxant with a subtle lavender flavour. 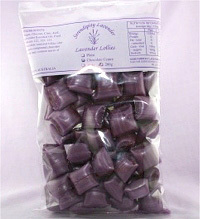 Packaged in a resealable tub. 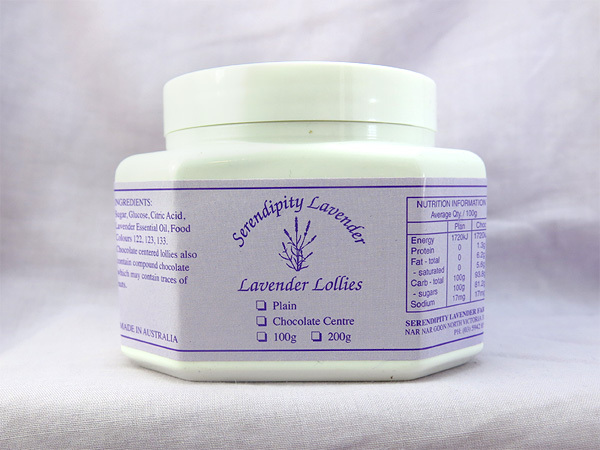 Available flavours: Plain Lavender, Chocolate Centre Lavender, Sherbet or Mini Lavender. 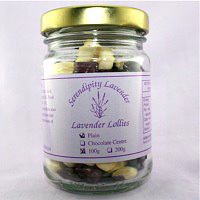 These have been flavoured with lavender essential oil and are a taste sensation. 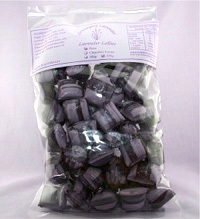 Sugar, Glucose, Citric Acid, Lavender Essential Oil, Food Colours 122, 123, 133. 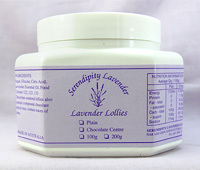 Chocolate centered lollies also contain compound chocolate which may contain traces of nuts. Sherbets also contain mineral salt & food acid.